General Hawk looks good for being 27 years old. Hawk v2 was released by Hasbro in 1986 and came from the fifth series of G.I. 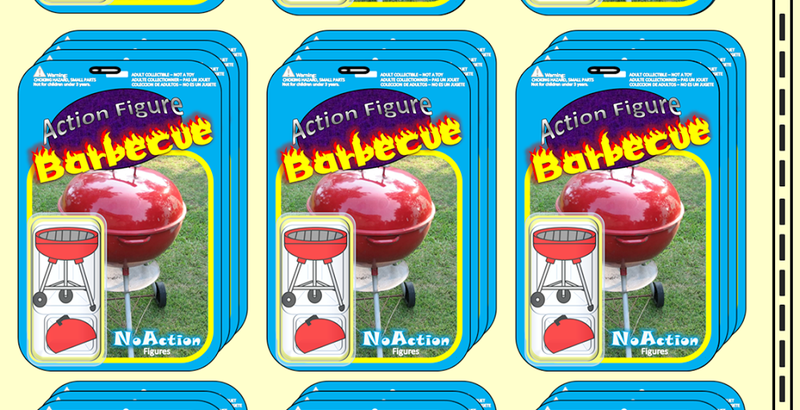 Joe: A Real American Hero action figures. I actually remember my mother taking me to K-Mart and letting me pick him out. According to her, whenever we went to the store when I was quite small I was always allowed to pick out a book. At some point, we must have ventured down the toy aisle because soon after I was picking up a G.I. Joe figure on trips to the store. Considering I was born in 1983 and my birthday is in the fall I most likely was only 2 1/2 when I got this, so my parents evidently didn't take the package's suggestion of "Ages: 5 and up" too seriously. Maybe I somehow inspired confidence as a child and showed I was incredibly responsible? Some parents give their kids musical instruments, easels, or sports equipment at a young age, hoping to instill in them a lifelong love for sports or the arts. Did my parents desire that someday their son would have two full rooms of his house devoted to little plastic men? Like most G.I. Joe figures Hawk is in the 1/18th scale, or about 3 3/4 inch tall. Despite being a somewhat small toy, I can assure you that I didn't eat any of the pieces. 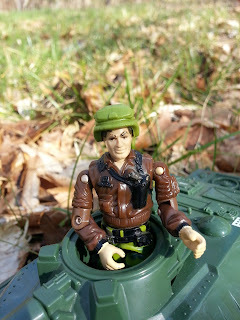 General Hawk surveys an abandoned tank for signs of danger! Still, just knowing that I didn't eat the pieces doesn't answer the question as to why my Hawk is unarmed. While most of my childhood G.I. Joe figures have all of their accessories, Hawk is missing his pistol (I need to pick him one up sometime). My family moved around quite a few times when I was very young so I imagine Hawk's pistol got left somewhere during a move. Everything shown here is original to the figure I owned as a kid. I'm honestly pretty sure that I've never even had to change his O-ring (the little rubber band that connects a G.I. Joe's legs to the torso). As you can see, Hawk has avoided all three of the most common injuries to vintage G.I. Joe figures: His crotch piece is unbroken, his thumbs are still intact, and his o-ring is still functioning. Hawk was actually the second version of Hawk in the original line. While he was originally the field commander of the team in his 1982 release, Colonel Clayton M. Abernathy was promoted to Brigadier General and became the head of the entire G.I. Joe team for his 1986 release. 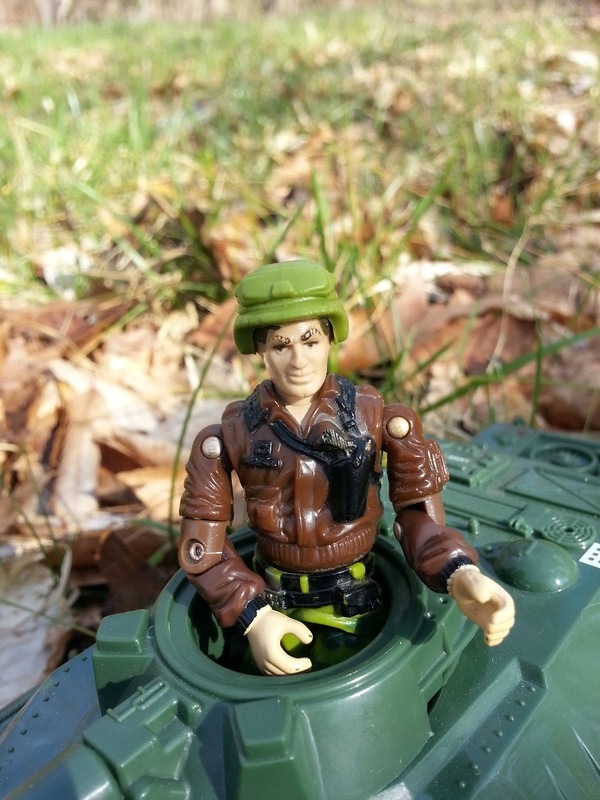 This figure represents General Hawk not as just a pen pusher, however, but as a leader still willing to get out on the battlefield and fight like anyone else. He leads by example, as his file card states: "Hawk's the type of commander who goes out and gets shot at like everyone else. Troops respect that. They know he won't ask them to do anything he isn't willing to do himself. And that's why they are willing to do anything Hawk tells them." Left to Right: Hawk v2 (1986), 25th Anniversary Hawk v2 (2008), Comic Pack Hawk v2 (2005). Hawk, like most G.I. 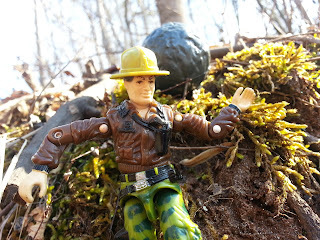 Joe figures from the mid to late 80's, is incredibly detailed. 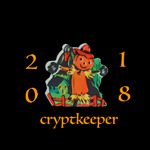 If you look at him closely you will notice some very cool details such as a sheathed knife on his left ankle, a revolver in a shoulder holster on his chest, a cool emblem on his belt buckle, and what appears to be a pen and a writing pad on his left shoulder. Even little details like the elastic cuffs on his sleeves and the bottom of his jacket are rendered here, showing how attuned to real world details Hasbro's G.I. Joe team was in the 1980's. 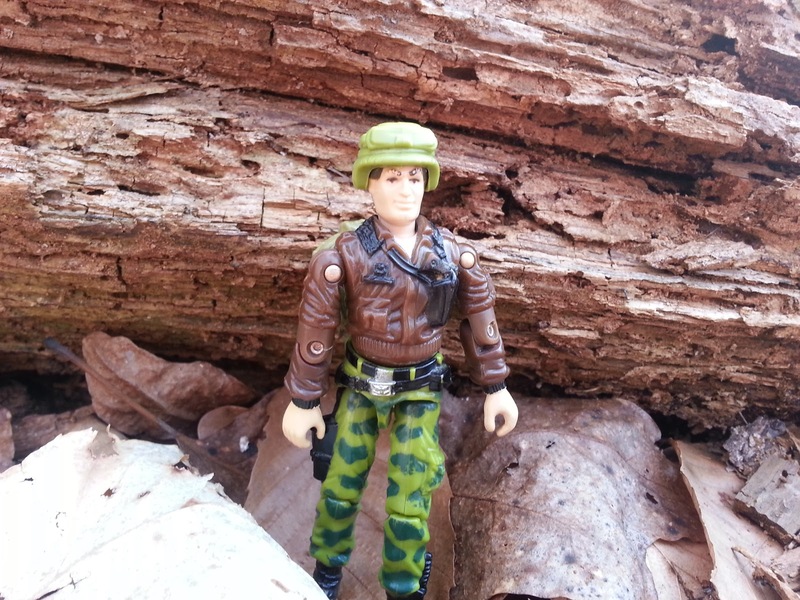 Hawk came with a green helmet, a small green backpack adorned with details like grenades, a canteen, and a walkie-talkie, and a pistol (the pistol looks like a .45 but the package listed it as a Walther PPK 9mm-it's the same mold as Keel-Haul's pistol). After a long walk through the woods, all General Hawk wants is a nice frosty Yo Joe Cola. Besides just being the leader of the G.I. 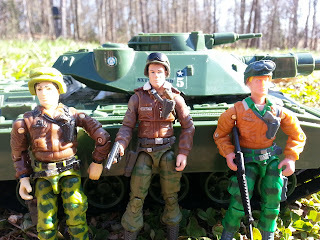 Joe team for me, Hawk also took on a few other roles during my childhood play time. First, he often represented me in my adventures. Perhaps it was because both Hawk and I had brown hair and similar bomber jackets (I had one kind of like his when I was younger), but I would always pretend that Hawk was an action figure version of me. 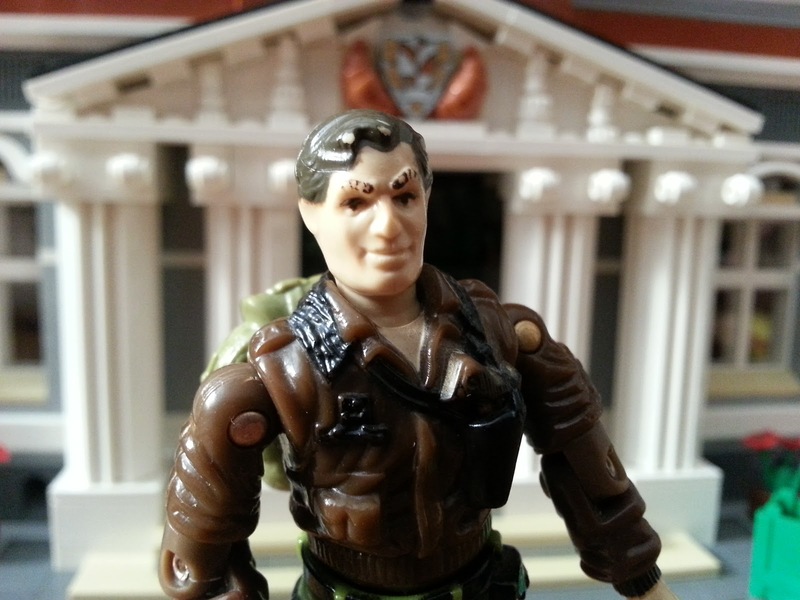 I imagine most kids like to find some toy that they use to represent themselves and Hawk was mine. Secondly, Hawk also often stood in for Indiana Jones. I was born too late to have acquired the original Kenner Indiana Jones action figure so Hawk made a passable Dr. Jones when dressed in his brown jacket, wearing Sgt. Slaughter's hat, and armed with a whip from a Corps figure (Mola Ram was always played by Raptor with his bird hood removed, FYI). Look out for that boulder! G.I. Joe has always been one of my favorite action figure lines. I still have over 90% of my childhood G.I. Joe figures and vehicles and most are still in excellent shape with their original accessories. I collected G.I. Joe figures heavily from 1986 until around 1990 when Teenage Mutant Ninja Turtle mania was in full swing. I have a few figures from 1991 through1994 when the vintage line ended, but they were mostly impulse buys or found on clearance sales at Target. I got back into G.I. Joe as a collector in 1998 when I was in 8th grade. My grandfather had passed away and it was during that weird week of mourning, spending time with family and friends, and just sitting around waiting, when my dad took me to the British Papermill, a comic book shop outside of Columbus, Ohio. 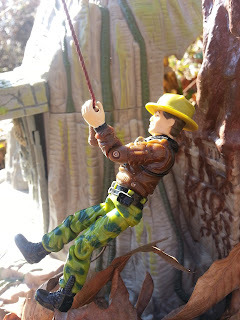 There we found a copy of Lee's Guide to Loose Action Figures that covered G.I. Joe figures from 1982 through 1989. This was perhaps my first ever experience with action figure induced nostalgia as suddenly I wanted to not only organize my boxes of childhood G.I. 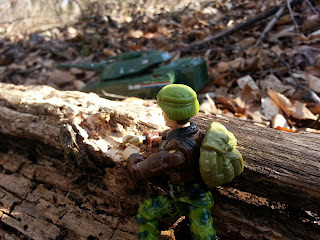 Joe figures and their arsenals of weapons, but also wanted to begin picking up some of the figures that I didn't realize existed. "Indy" Hawk swings across a bottomless pit of leaves! It was a bright spot for me during a dark time in my life. I think it was also when I truly moved from just being a kid who played with toys to being a collector who appreciated the toys for different reasons, nostalgia included. My mother wanted to stay in Ohio for an extra week with my grandmother so my dad and I went back home to Nashville, Tennessee so my dad could get back to work and I could get back to school. I fondly remember evenings that week with my dad helping me to sift through my boxes of G.I. Joe figures, matching the numerous accessories with the characters to whom they belonged. When we realized that Lee's guide didn't cover any Joes from 1990- 1994, we searched online and purchased James Desimone's guides which were far more comprehensive. This began a period of a couple years for me where many happy Saturday and Sunday afternoons were spent at various toy shows and at the Nashville flea market looking for various G.I. Joe figures for my collection. While my G.I. Joe collecting waned during my later high school years and my early years of college, I got back into G.I. Joe more than ever in 2006 due to G.I. Joe: Sigma 6 (one of my favorite toy lines ever). General Hawk is ready to fight for freedom wherever there's trouble! While many of my G.I. Joe figures are still stored safely in Plano tackle boxes or plastic storage bins, many of my vehicles and a few of my favorite figures sit out on shelves. General Hawk has a place of honor in the turret of the 25th Anniversary MOBAT tank, sitting on a shelf alongside some of my favorite vehicles. 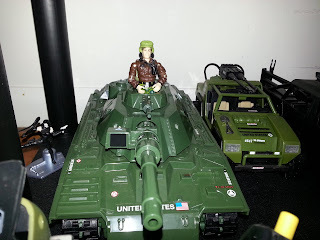 Besides just enjoying the hobby of collecting and the aesthetic aspects of action figures, Hawk is representative of some of the other aspects of the hobby that appeal to me: Bringing back fond memories of family and my childhood, and memories of engaging worlds that existed only in my imagination.